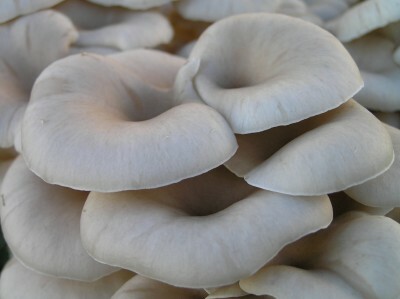 Gourmet Woodland Mushrooms – Quality Gourmet Mushroom Spawn for Businesses & Individuals. Our UK based Spawn Lab produces: Plug Spawn, Sawdust Spawn, Grain Spawn and Growing Kits. Our 5 most popular species are kept in stock in 1kg bags. 3kg bags are made individually to order ensuring the mycelium is at the peak of its growth potential. We will continue to add new species to grow using logs, woodchip, cereal straw, spent coffee grounds and cardboard. Our sawdust is made using Beech-wood ‘micro-chips’ that have a consistant particle size making it alot easier to use than the sawdust spawn that other companies are offering. 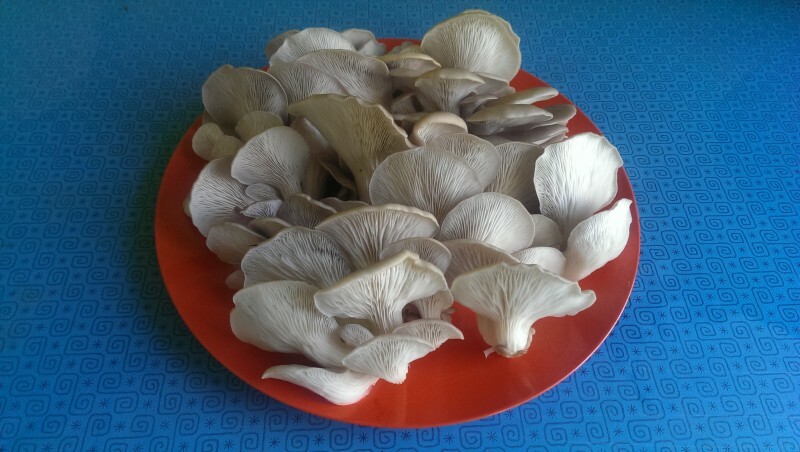 Oyster mushrooms are probably the most adaptive mushroom species out there, and they can be easily grown using a variety of household waste from used coffee grounds to old books, to cardboard. 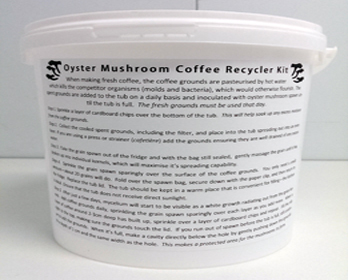 With our Oyster mushroom recycler kits anyone can enjoy growing fresh gourmet mushrooms at home without having to use specialist equipment or without any previous knowledge of gourmet mushroom growing. Shiitake, Reishi, Turkey Tail, Oyster Mushrooms, Enoki, Chicken-of-the-woods, Lion’s Mane – many of our strains are unique and can’t be found anywhere else. Six bag sizes available: 30 – 1200 plugs with discounts for orders of 6000 plugs & above. Plug spawn is supplied with detailed instructions (including illustrations & photographs), which will guide you through the growing process. We offer free advice & support to all our customers. Grain Spawn will be added shortly to our Online Shop. 250g, and 500g bags will be in stock & 1kg plus 2.5kg bags will be made-to-order. We use Grain Spawn to make all our products so we have had to increase our production capacity to make it available online. Sign-up to our newsletter to find out when it becomes available. At Gourmet Woodland Mushrooms we offer a professional personal service. 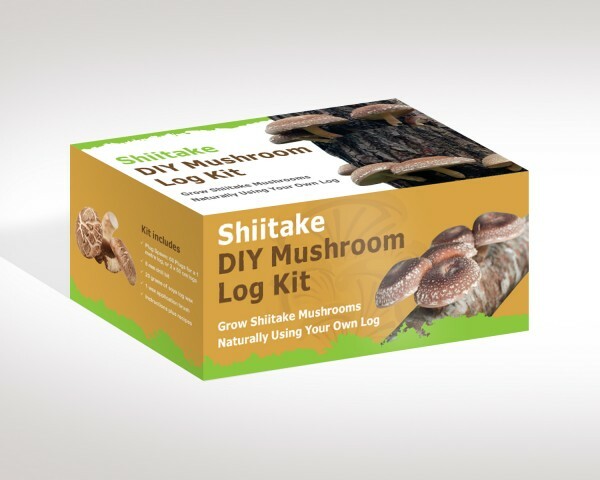 If you are looking to start a mushroom growing business or simply want to grow mushrooms for pleasure we offer advice and support for all our spawn products and are happy to answer any questions you might have about gourmet mushroom growing. 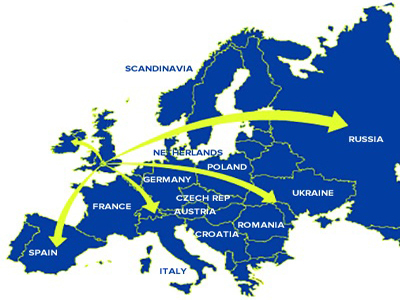 We offer on-site consultations at a resonable cost, Skype consultations, and also group seminars. With 16 years experience growing mushrooms and producing spawn you can be confident that you’ll receive accurate and up-to-date informatation and advice. 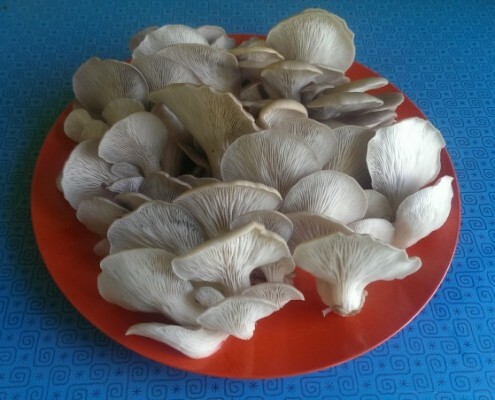 Great products and having success with outdoor Oysters fruiting on woodchip. Came with easy to follow instructions. Customer support second to none. Looking forward to expanding shroom garden with new products when available. Hi there! The King Oyster grain spawn I got off you is top notch. 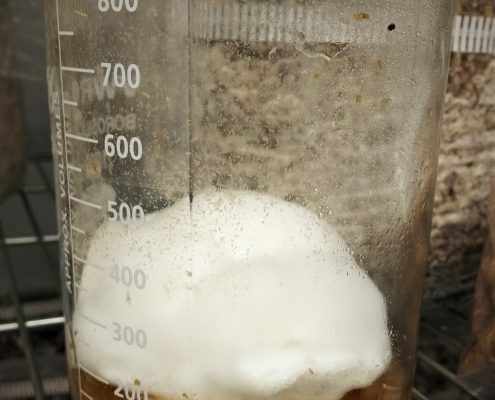 Way more active than the stuff I made from a spore syringe. Just a note to say the plugs arrived in great condition, thanks to your excellent packaging! Really impressed….thanks so much, I’ll be a customer for life! I have bought a number of your products in the past and I’m experimenting with growing media; so far coffee grounds have been very successful. NEW PRODUCT. 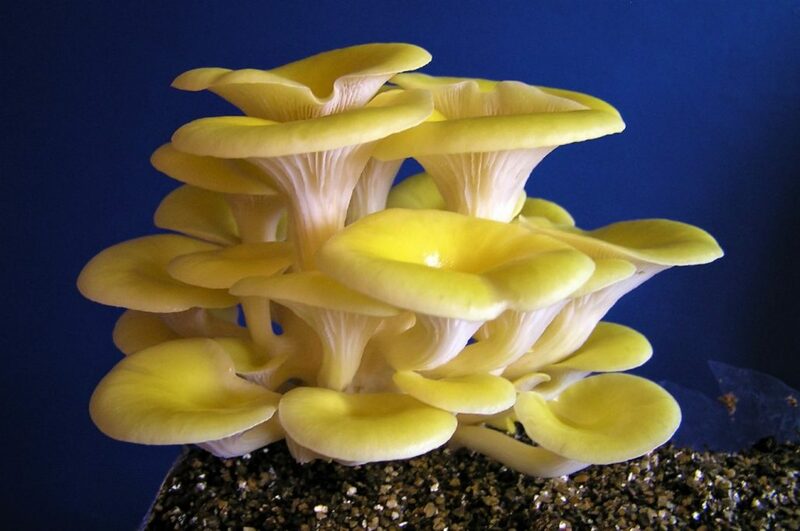 Oyster Mushroom Plant Pot Kits. 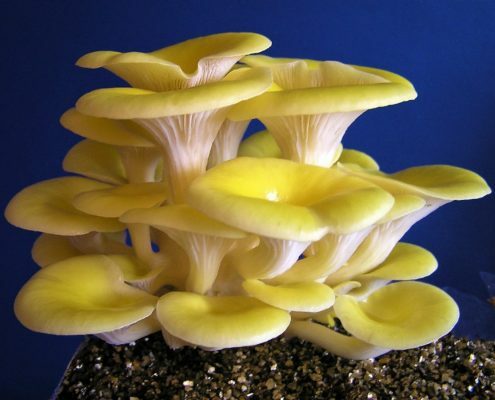 An easy and quick way to grow Oyster mushrooms. Fruiting starts in around a month, and continues for 3 months. 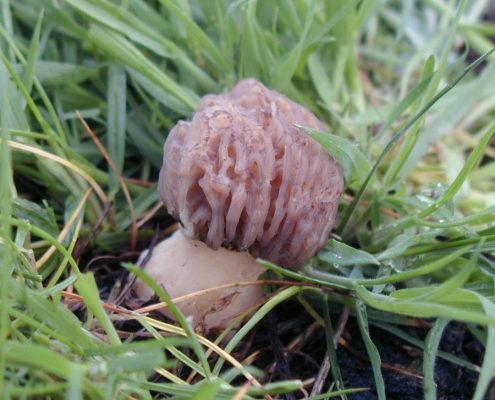 Click for more info..
Black Morels are one of the finest culinary wild mushrooms and are much in demand by chefs and restauranters attracting a high market value. 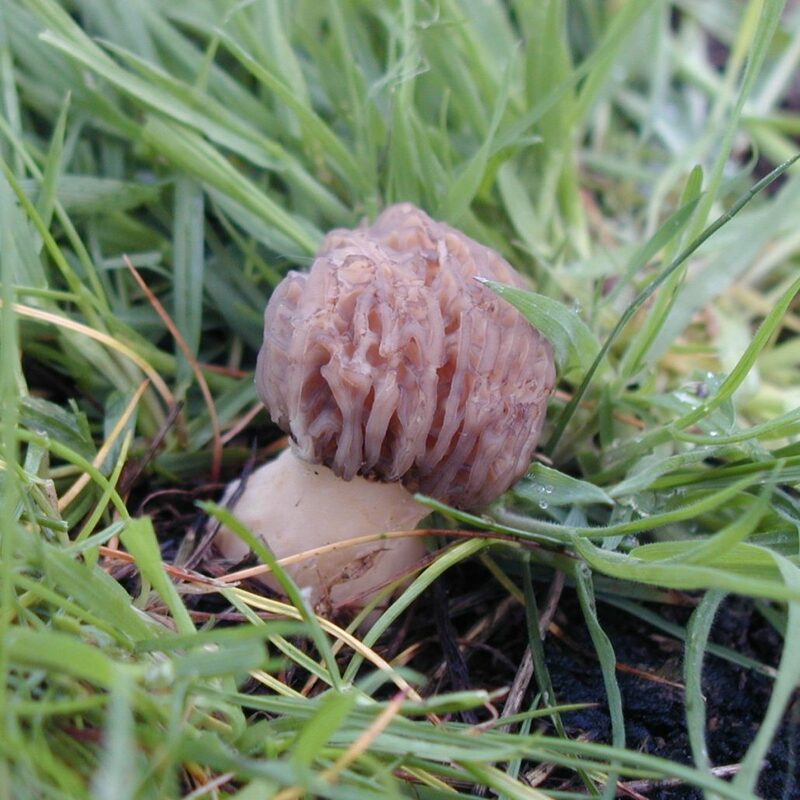 Black Morels can be grown using the simple and effective Fire Pit Technique outdoors in the garden or woodland. Imagine having a supply of your own fresh Morels without having to forage or pay alot of money for them! We’ve just introduced a 120 Plug Spawn Pack, which is great value at £10.00. 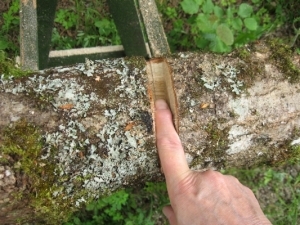 120 plugs can make 4 x 50 cm long logs, or 2 x 1 m long logs. 120 packs are kept in stock, and available across all our species. 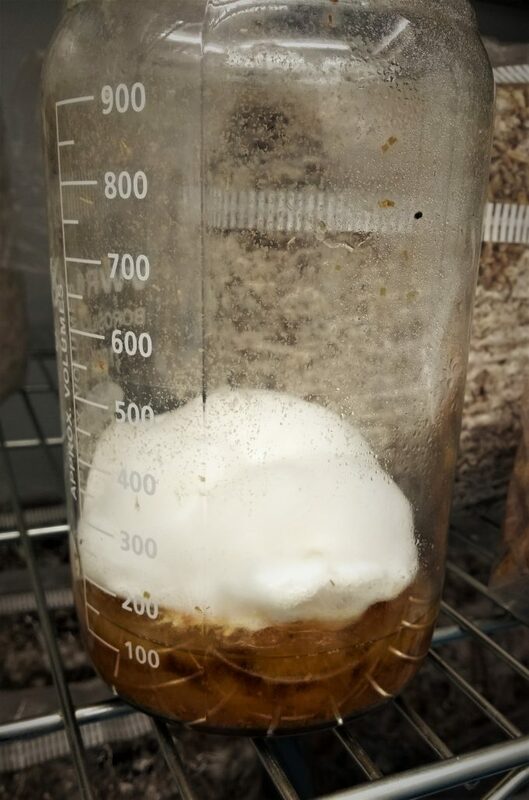 Can you tell the difference between good quality mushroom spawn and poor quality mushroom spawn? …’No’. Most people can’t (unless you’re a mushroom farmer of course) – and there are companies out there that take full advantage of this fact. We are not one of them. 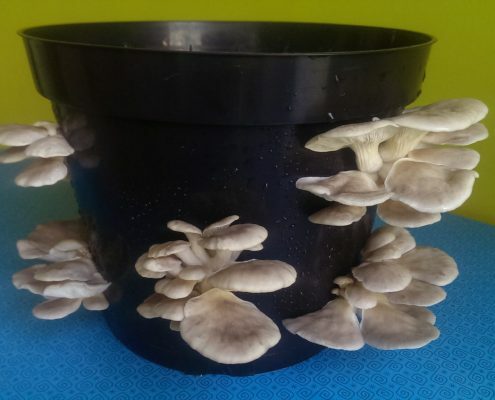 We supply professional growers who rely on us for the success of their business, and we produce the same quality spawn for our hobby customers, so you can be confident when purchasing mushroom spawn from us. Make productive use of woodlands and/or redundant buildings using readily available ‘waste’ wood and agricultural materials. Take advantage of the growing interest for new culinary experiences and locally produced ethical food. We have 15 years experience of helping new growers to make the most of their resources. Many of our species and strains are not grown commercially on a large scale, giving our growers a distinct marketing advantage when it comes to gaining customers for their mushrooms. Get in touch to arrange a free consultation.